Shannon Payne - I love seeing all of the pictures from her first year. They are all so beautiful and cohesive! Her parents are going to treasure these for years. Kandi Anderson - Lindsay, how fun to see this little one grow throughout the year! They change and grow so much and yet she looks just the same. Weird how that is!!! Every single image is just gorgeous! It would be fun to see all of these in a large album to treasure for years to come! Lauren - She is just adorable! 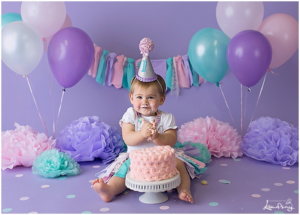 I love that you showed her images from throughout her first year – you get to witness her grow up before your eyes! melissa - oh my goodness so many adorable setup!! Shannon Payne - You are so right! Sibling poses are so important. You did so great with these two boys! His individual pictures are gorgeous too. Your posing is just perfect! Linda - Another handsome little one and beautiful images for this family to enjoy, treasure and hopefully display proudly. I love your work, stunning posing and timeless styling make you a gift to your families. 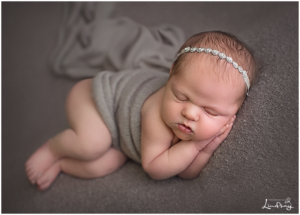 Milana Photography - How adorable!!!! Love this newborn session so much! You are incredibly talented! 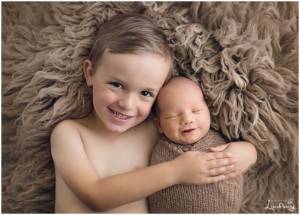 Milana Photography - Aww this is absolutely adorable!!!! Love this newborn session so much! You are incredibly talented! Kandi - Lindsay, these images are so beautiful and timeless! Mom and dad will cherish them for generations to come! I agree there is such a bond between siblings and you have captured them perfectly. Beautiful work as usual! melissa - I love all of these images, so many perfect captures. Lauren - He is just precious! I love sibling shots, and yours are just gorgeous. This family is lucky to have these beautiful images to treasure. 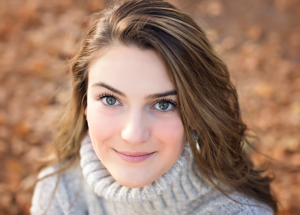 Linda Bainter - Your work is gorgeous and so are the portraits you have created for these seniors. They all seem full of joy. It’s obvious that the time you spend getting to know each students makes them feel relaxed and at home with you. Great work. Lisa Millerick - This is such a fun session. Just love the expressions and colors. Job well done. The spirit of a teenager shines through…. Lauren - Beautiful work! Those seniors are lucky to have such a talented photographer – I wish I had photos like this when I was a senior. Shannon Payne - Your senior work is gorgeous! Your poses and locations are so great. The seniors in your area are so lucky to have you! Kandi - Lindsay your high school senior photography is absolutely stunning! They all look so relaxed and it’s evident how much fun they are having. Now let’s talk about the gorgeous locations …… I’m drooling !!! Love following your blog and admire your work from afar! Lauren - She is such a cutie. Love all of your images, beautiful! Kandi - Oh my goodness! This is the prettiest baby. I swoon over your newborn photography, your props and your gorgeous lighting! I bet mom and dad are over the moon happy with this beautiful gallery of images! Shannon Payne - Lindsay, this session is perfection! What a beautiful baby girl, and your posing is absolutely gorgeous. Nice job! Lisa Millerick - Oh my goodness. What a wonderful session. Just love how much variety you offered. This is stunning. Kandi Anderson - I can’t stop smiling after seeing the last image in the group!! What a treasure to have! Parents in your area are so lucky to have you as their photographer! I love following your blog and seeing all your beautiful images. Great job. Linda Bainter - Some gorgeous images of this little one. The last one… and the little fist in the air are winners! Melissa Hartigan - so adorable, you captured her personality perfectly! I love these images so much. Shannon - Omg what awesome shots. That rainbow setup is the cutest! And that last shot??! STOP IT! I want that in MY house haha! Love this whole session! Baotran - Wow, I love the vibrant colors of this cake smash! She looks like she is having a blast!! Lauren Vredeveld - Oh my gosh, she is sooo happy, I LOVE it! You really captured her personailty in these, great job!! Ashley Eckenrode - Hi. 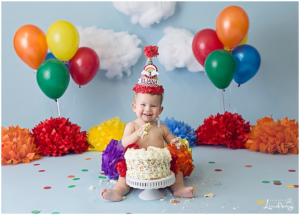 I was wondering what you charge for a first birthday photo session and what all is included. Thanks! © 2016 Photography by Lindsay - Portrait photographer serving Martinsburg / Eastern Panhandle West Virginia - Specializing in Newborns, Families, Kids, and Seniors|ProPhoto WordPress Blog by NetRivet, Inc.